Last month, NASA’s Curiosity rover captured some of the most remarkable images of Martian clouds we’ve ever seen. Now rare, these Earth-like cirrus clouds are a glimpse into the Red Planet’s distant past. 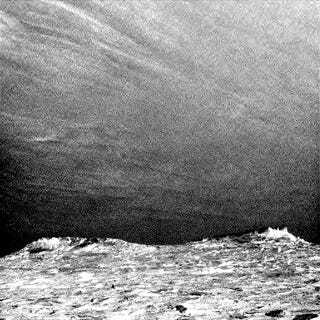 On July 17, NASA’s Curiosity rover pointed its NavCam straight up into the Martian sky and snapped eight photos of wispy clouds as they wafted by overhead.  The probe then lowered its camera, and took another eight images of ice-crystal clouds moving along the southern horizon, with a pair of hills visible in the foreground. A third set of photos, taken later in the day, yielded no clouds. 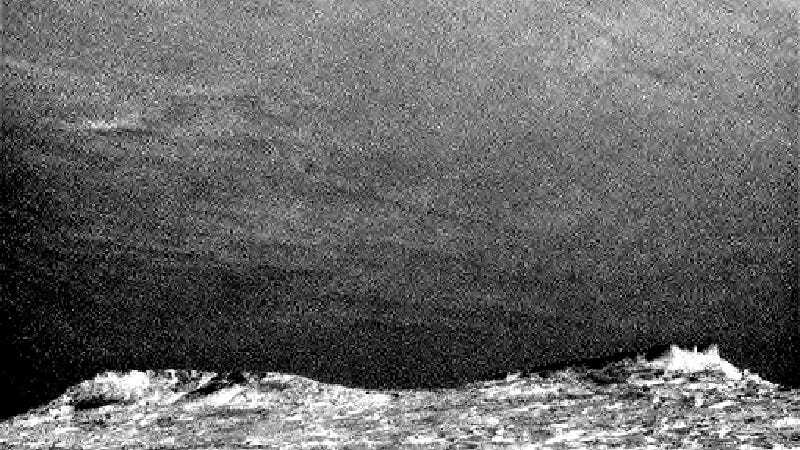 The clouds are “the most clearly visible so far” from Curiosity, claims NASA, and they were taken about five degrees south of the Martian equator. Charissa Campbell, a Curiosity science-team member from York University in Toronto, enhanced the image sequences in order to emphasize the frame-to-frame changes. 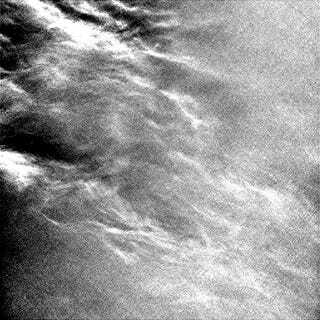 Clouds like this are rare on Mars today. But billions of years ago, the Martian climate was likely warm enough to allow for substantial liquid flow on the surface, for extended periods of time. Last year, researchers from the Carl Sagan Institute proposed that cirrus clouds may have provided the necessary insulation for liquid water to flow on the surface of ancient Mars some 3.2 billion years ago, suggesting they could have once been a prominent feature on the Red Planet. Their models proposed that, under the right circumstances, the clouds in the early Martian atmosphere could hang around about four to five times longer than they do on Earth. But those days are long past, and Mars is now a frigid desert. But at least we have Curiosity on the scene to remind us what conditions may have been like a long time ago.